4 OUT OF 5 CUSTOMERS HAVE DISJOINTED ONLINE EXPERIENCES. 5 out of 5 marketers should be very concerned. Impeded consideration process and delayed sales. Get the new Modern Marketing Essentials Guide to Cross-Channel Marketing and start creating the most cohesive, valuable, and frictionless customer experience possible. Inbound. Search. Social. Email. Web. Mobile. Events. A consistent, dependable multi-source experience can help you create ideal customers who spend 2x as much as regular ones. 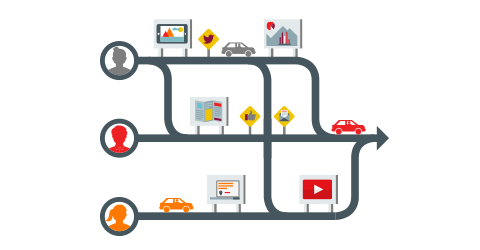 The Oracle Marketing Cloud is your single source for leading solutions enabling marketing automation, content and social marketing, digital advertising management and the data needed to run it all.